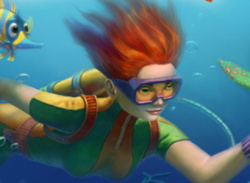 Help Jennifer, a young marine biologist, win the Best Aquarium Award. 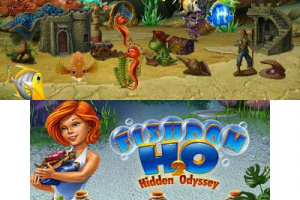 Dive to the bottom of the sea and find various hidden items in numerous eye-teasing locations. 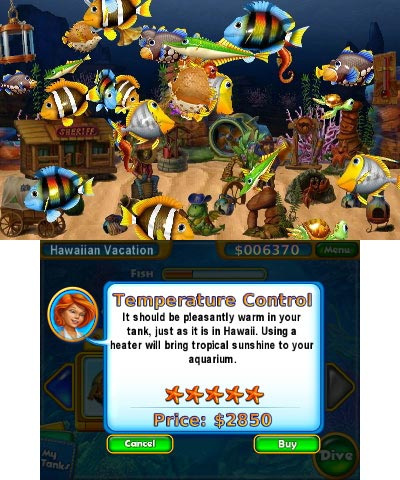 Get cash for them to buy cute sea creatures and beautiful ornaments to create three unique aquariums. 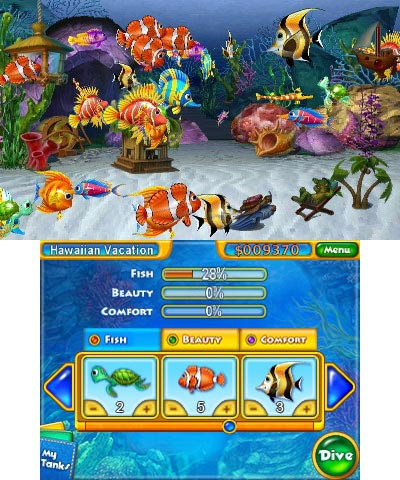 Choose from tons of accessories and supplies to make the life of your exotic swimming pets fun and comfortable. 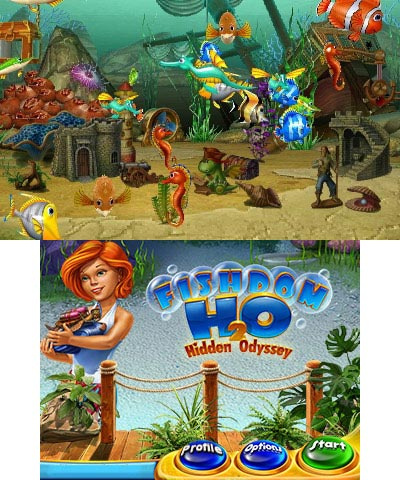 Become a genuine aquarist, polish your design skills and win trophies in this dazzling hidden object spin-off of the original Fishdom™. 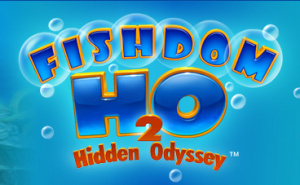 I picked up this game yesterday and finished the main goals today. 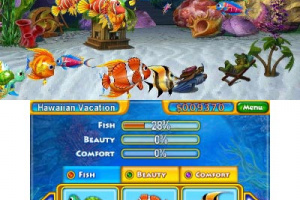 It's pretty short with just 3 aquariums to complete, but you can continue playing even after you've attained the goals. The hidden object screens aren't too difficult to see, although there are only a few scenes to search in. You can play either in relaxed or timed mode. 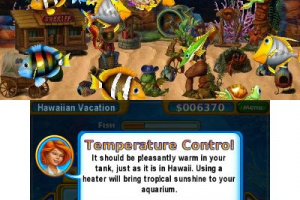 The main problem I ran into was during the 3rd aquarium, the game glitched out and shut down twice and I had to restart the system to continue. All in all, it wasn't a bad game, but I'm glad I didn't pay more than $5 for it.